Why not show how much you really care about your main by putting in a bit of extra effort and creating a personalised gift for him? We asked some men to hand-pick some items that they would love to receive for birthday, Christmas, Father's Day, or any other gift-giving occasion. All of the items on this page can be customised by adding your own pictures, inscription, or printing. 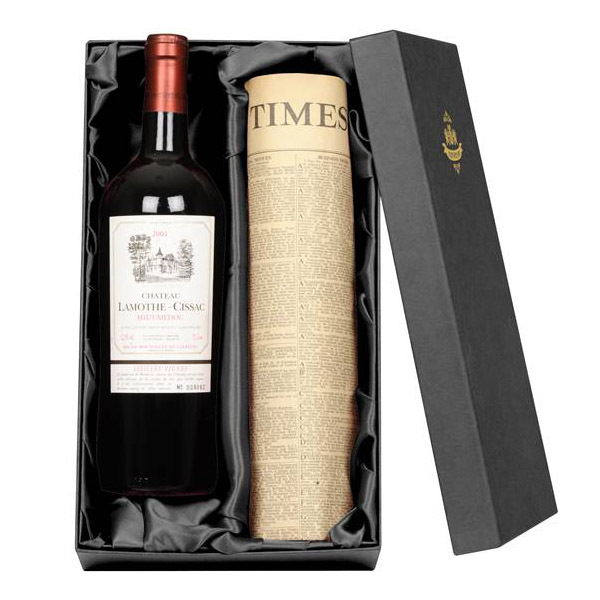 A bottle of Vintage Red Bordeaux and a newspaper from a special date, an ideal gift for all sorts of occasions. 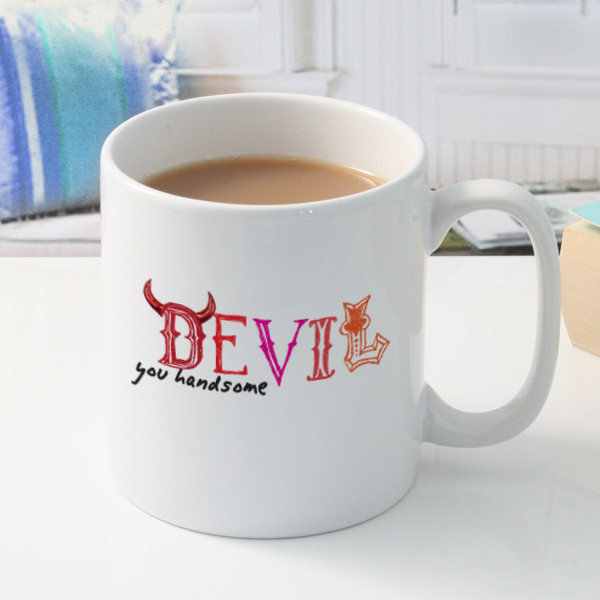 Let your man know how handsome he is with this Handsome Devil Personalised Mug. 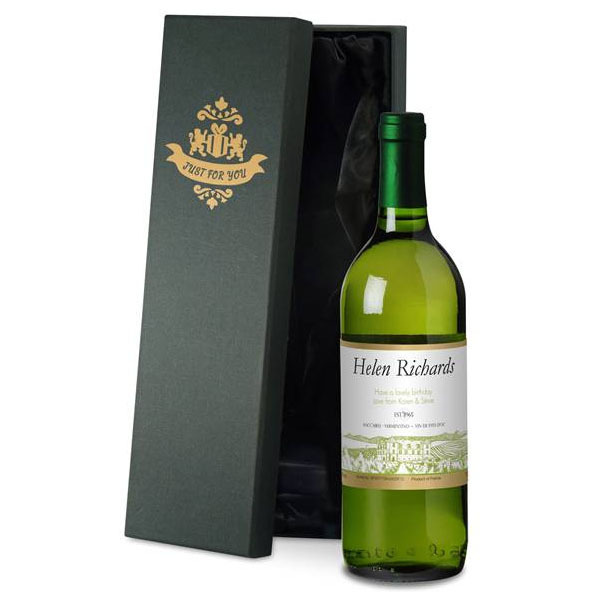 A superb bottle of Personalised French White Wine makes a great personal and unique gift. 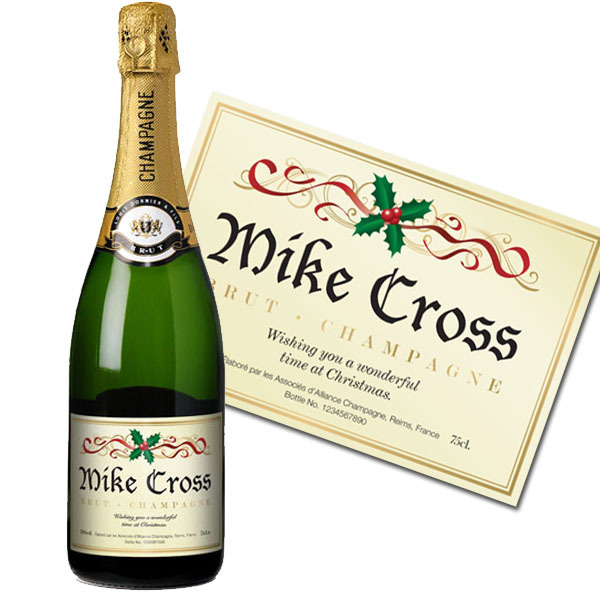 A wonderful gift for that special toast on Christmas Morning and the personalised bottle will make a lasting keepsake item. 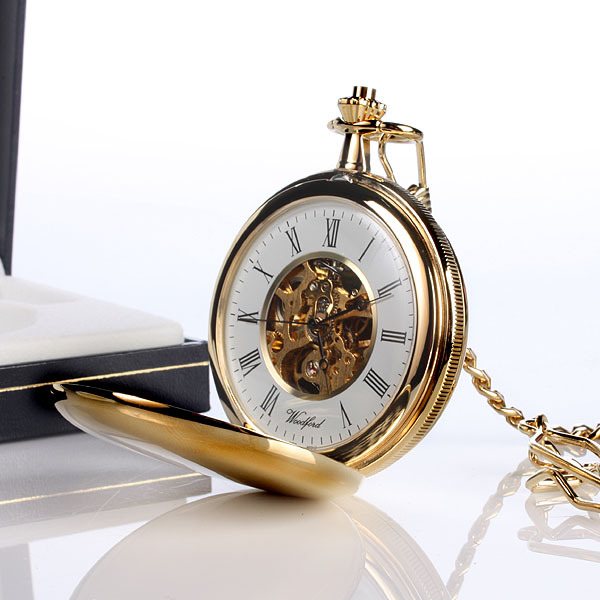 This stunning Gold Plated Pocket Watch is personalised with a name or short message and makes a truly special gift and is sure to be cherished for years to come. 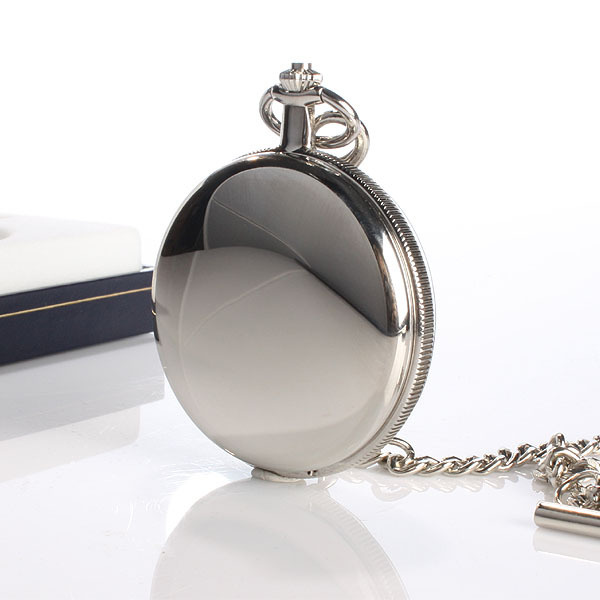 This attractive chrome pocket watch can be personalised with the recipient's own initials, making it extra special. 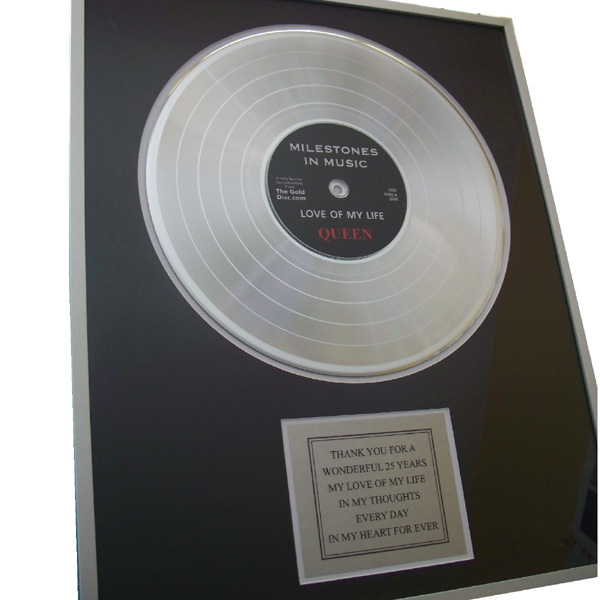 This personalised gold disc make a great gift to commemorate a special date in someones life. Personalise with a special message of your choice. 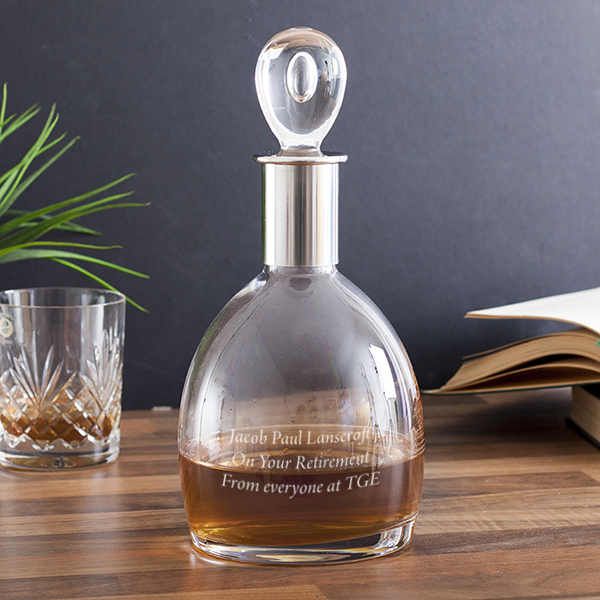 This luxurious Personalised Dartington Crystal Soren Short Decanter is hand-made and a stunning gift for any occasion whether it's a birthday, retirement or anniversary. 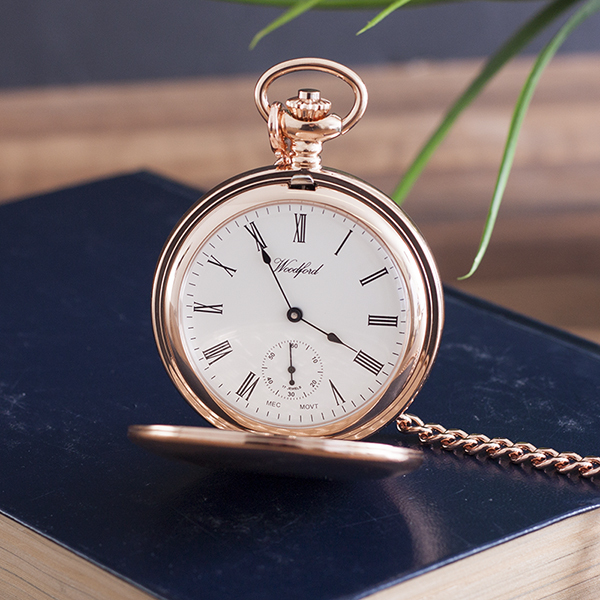 This stunnung and luxurious Personalised Woodford Rose Gold Twin Lidded Hunter Pocket Watch would make a stunning gift and comes engraved with any message of your choice. 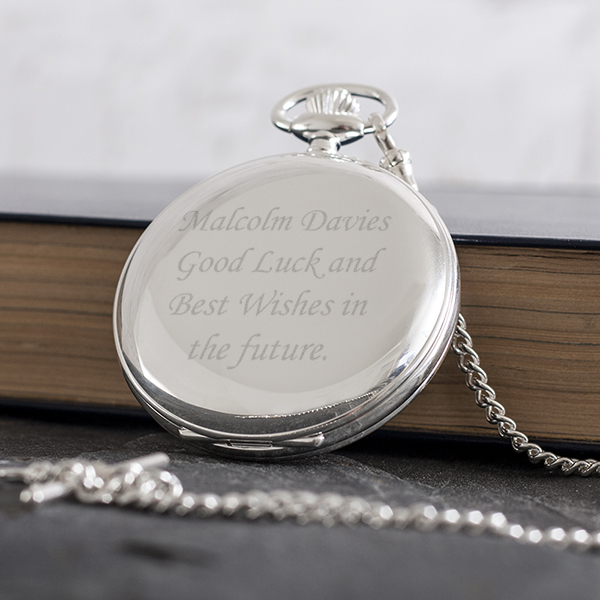 This classic Personalised Sterling Silver Pocket Watch makes a really superb keepsake gift for any man with a sense of style, whether he is 18 or 80. The watch comes in it's own presentation box so it can be safely stored away when not in use. 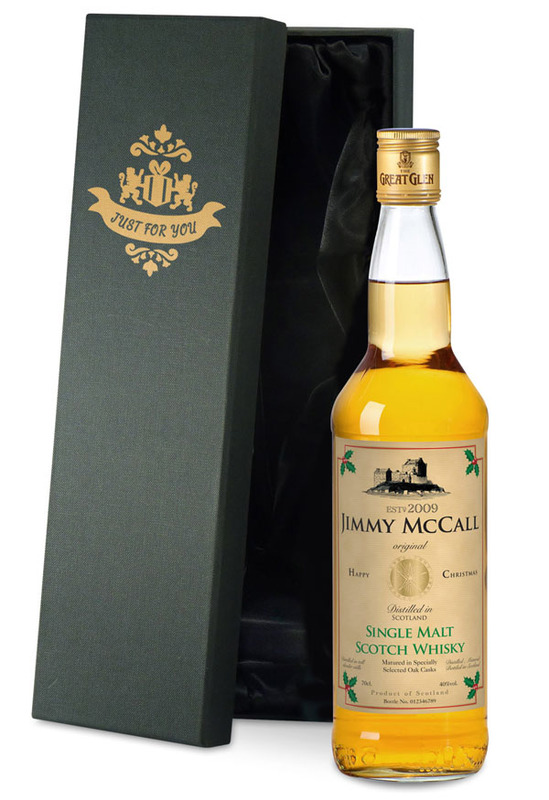 This delicious malt whisky comes presented in a satin lined gift box and is personalised with a unique label design. The label is printed with your recipient’s name, the year being celebrated and a special message of your choice which makes this a great gift idea for any occasion. The label is printed in high quality and is water resistant for an authentic and realistic looking final product. This great gentleman’s gift set not only has a personalised bottle of whisky but also includes a Cohiba Siglo cigar. The cigar has a medium strength flavour and measures approximately 150 mm in length. It’s a fantastic cigar that any serious cigar smoker is sure to love and appreciate. The whisky is taken from a small independent distillery found in Scotland’s Cairngorms National Park. This Speyside Whisky is pale mid amber with gold highlights and a soft medium sweet nose and dry peaty flavour. A fantastic gift idea for any occasion from a birthday or anniversary to Fathers day or even as a retirement present. A unusual way to send a message or display loved ones name using this Vintage Playing Card Frame. The message is made up of up to 34 vintage playing cards. The cards are taken from a 1930's spelling game and are beautifully displayed in a black wooden frame. The stylish frame can be hung anywhere in the home or placed on a sideboard to create a stylish artwork for the home. So whatever the occasion this photo frame is something a little bit special to be kept and displayed for years and years. Size: The frame measures 160 x 20cm. A secret message just for him makes these collar stiffeners a stunning and useful gift that he will adore. You are able to personalise these collar stiffeners with your own secret message, making this gift that little bit more special. Not only are these collar stiffeners beautiful to look at but they are also incredibly practical and hardwearing as they are made out of strong rhodium. A stunning, useful gift that he will adore. These gold plated collar stiffeners are the perfect gift. You are able to personalise these highly polished collar stiffeners with your own message, making this gift that little bit more special. Not only are these collar stiffeners beautiful to look at but they are also incredibly practical and hardwearing. If he likes the peace and quiet of his sacred man space then he'll certainly appreciate his very own personalised wooden sign! Engraved on pine wood and strung with thick knotted cord, making it perfect to hang on the door of his shed. Personalise this sign with his name and his Man Cave activities. Treat him to this stunning personalised leather bracelet. Personalise this bracelet with a special date, or initials that mean something special to him. Our Personalised Tumbler and Brandy Miniature is the perfect gift for him on his birthday this year. Beautifully personalised just for him, it's sure to become a treasured keepsake in the years to come.The tumbler features an elegant 'Happy Birthday 2013' design etched onto its side, along with a stunning crest motif. The recipient's name and a special birthday message of your choice will be engraved below this, finishing off this unique gift.This fantastic gift set also includes a miniature 50ml bottle of exquisite Martell Fine Cognac Brandy.The perfect gift for a brandy lover to have a warming tipple on their special day. Add a wonderful finishing touch to their birthday celebrations with this exquisite personalised glass. Looking for a stylish way to present your cufflinks? Look no further! Our personalised cufflinks box will help to keep those cufflinks looking pristine when they're not in use and is a lovely way to add the finishing touch to a gift. With a high-shine, silver-coloured metal finish, the interior of the box is lined with black fabric and can be engraved with a message of your choice in a charming script font. Perhaps you'd like to choose words to mark a significant birthday, anniversary or wedding? Whichever occasion you're celebrating, the recipient will receive a unique keepsake that's both elegant and functional.What Can I Put On My Cufflinks Box?You can personalise the front of the lid with any message, with up to 50 characters engraved over three lines. For the best results, we suggest only using capital letters at the start of words/sentences. Use our innovative preview feature to see how your words will look. Simply type in your message and press the Preview button.Dimensions: H3.5 x W7.5 x D3.5cmPlease note: Cufflinks are not included. On this page we have shown a selection of presents suitable for men - all of which can be personalised in various ways by being engraved, printed, or inscribed. Great for all kinds of gift-giving occasions including birthdays, Christmas, anniversaries, Valentines, or just because!